Since it&apos;s Halloween, it&apos;d make sense if the zombie apocalypse kicked off today. But is your city ready for it? We might have the answer for you. In a recent study, CareerBuilder determined which cities are the most and least likely to survive a zombie apocalypse. Measuring survival rates "based on concentration of occupational skills and industries," the researchers ranked the 53 largest U.S. metropolitan areas. If you&apos;re in Boston, Kansas City, Salt Lake City, Baltimore, or San Diego, you&apos;re pretty safe, as those are the five cities that are most likely to survive. You&apos;re pretty screwed, though, if you&apos;re New York City, Tampa, Los Angeles, Riverside, or Miami—the bottom five cities. Assuming that the zombie apocalypse would be the result of "a standard, flesh-eating virus transmitted via biting or contact with infected blood," the study focused on eight different factors in four different categories. The first category is a city&apos;s ability to defend against the virus, which is measured by looking at "military occupations and protective services occupations as a percentage of each metro area&apos;s total population and small arms/ammo manufacturing as a percentage of total exports," according to the Phoenix Business Journal. The second category dealt with containing the virus, and looked at "the engineers and construction trade occupations as a percentage of population and population weighted density.​" The next category was about finding a cure, which was measured by looking "at biotechnology and medical research occupations as a percentage of an area&apos;s population." Finally, the study measured whether a city would have enough food to outlast the epidemic by looking at "food manufacturing as a percentage of total exports." 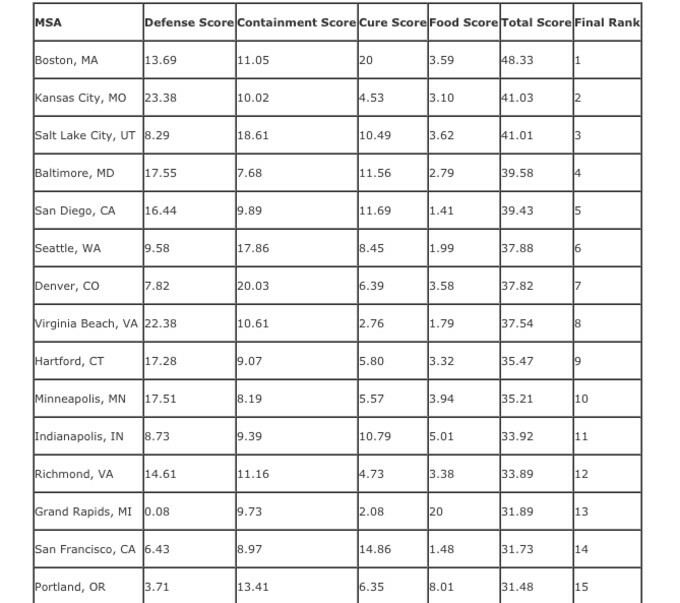 Boston, the safest city, didn&apos;t have a great food score, but had the highest cure score of any city on the list. While New York City had a pretty good defense score, the city&apos;s containment store was by far the worst of any city, which is why NYC is at the very bottom overall. 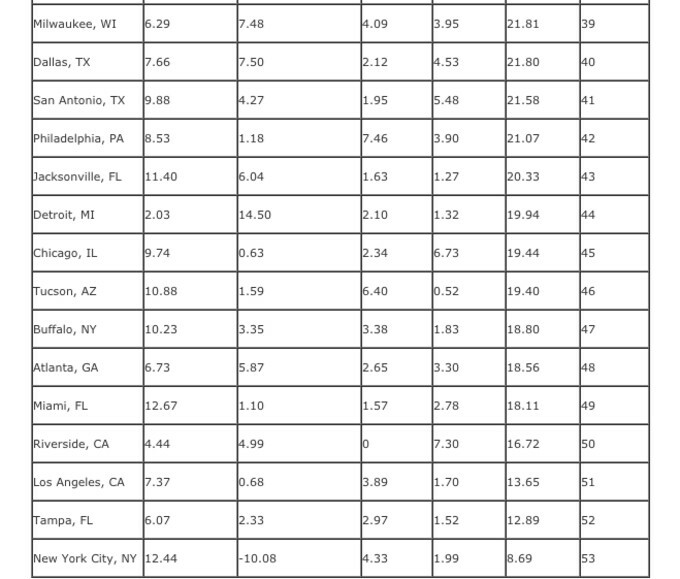 Grand Rapids was in the top 15 overall, with the highest food score of any city, but with low defense and cure scores. You can view the full list here, and best of luck should you find yourself living in the second bracket when the zombie apocalypse strikes.